Over the years, ReSurge has witnessed the remarkable dedication of this young, local physician during its volunteer surgical team trips to Bamako. Our volunteers saw that he potentially could restore the lives of hundreds of impoverished children every year with further training. ReSurge is building surgical capacity in Mali by helping Dr. Coulibaly receive additional specialized pediatric surgical training. Empowering doctors like Dr. Coulibaly to transform the lives of children in their own countries has proven to be a very cost-effective means of increasing medical access. Due to political unrest in Mali in recent years, Dr. Coulibaly moved his studies to Cote d’Ivoire, where he completed his pediatric surgery residency. He is currently a practicing pediatric surgeon back home in Mali’s capital, Bamako. 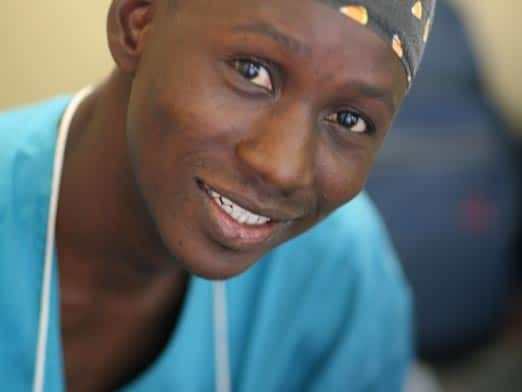 ReSurge is dedicated to providing educational opportunities for Dr. Coulibaly, and we are exploring further training opportunities with him, to give him the reconstructive surgical skills he needs to treat patients in his country with disabling burn injuries and other conditions that require plastic surgery.